Dr. Joe took the time to meet with me and discuss my issues at the beginning of the session. The session was relaxing and I feel better! With several health issues & seeing medical doctors for years & getting nowhere, I decided to go see Dr.Zhou. Within 3 months I was feeling better than I have in years. Family & Friends have noticed a huge change in me. My husband jokes that Dr.Zhou must have hit a funny bone because I laugh more now than the 20 years we've been together. It's cause I feel better. Inside & out! Whatever your situation is I believe Dr.Zhou can help you. I owe Dr. Zhou for giving me my life back. I always feel like dr Zhou listens and cares. Has helped with several issues since 2012 and highly recommend him. Highly recommend Dr. Zhou. Warm and efficient intake and compassionate and effective treatment. Very reasonable cost. Best in Austin! This was my 1nd time having acupuncture. What a greT experience! Very clean and please t environment. The receptionist STEPHANIE was so sweet ! I felt comfortable from the beginning and instinctively trusted Dr. Zhou. I have had only one session but already feel relief. Great customer service, appointment on time, very helpful! Excellent caring service all around. Dr. Zhou's acupuncture treatment for my neck pain saved me from a corrective surgery. Currently I am under his care for knee pain hoping to avoid surgery again. 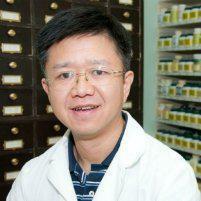 His knowledge, experience and administration of acupuncture therapy are amazing. My family members also have been treated by him with healthy results. Always great! Thank you Dr Zhou! This was my first time to get an acupuncture treatment and I'm going back for more! Dr. Zhou had a thorough discussion with me prior to beginning the session as well as afterwards. I felt much better after just one session and hope to continue to see results. Thank you! Dr. Zhou is the exemplar of a wonderful listener and thoughtful practitioner. My first visit to Pine Mountain Clinic was characterized by the highest professionalism coupled with excellent results. Dr. Zhou models a level of patient care that all health caregivers should emulate. I've only seen Dr. Zhou once, so I can't comment on effectiveness of treatments yet, but he is incredibly kind and put me right at ease. He seems to truly care and want to get to the bottom of things. I left with a free sample of herbs and will be returning for more acupuncture treatments! After hearing about my experience, I think my partner will be making an appointment soon, too! Amazing healer- I came in with a diagnosis of moderately advanced arthritis in my hip and its getting better! Wow. I am so pleased and grateful to have access to such excellent healthcare- thanks, Dr. Zhou. Wonderful. I'm so excited to have a place of healing that won't immediately write me off with pills and instead takes the time to listen to my needs and personal issues and heals with care and science. One session with Dr. Zhou did far more to relieve my back pain than several massages did! I appreciate that he took the time to ask lots of questions and get all the info before starting the treatment. I will definitely return. After one treatment my lower back pain feels much, much better! Looking forward to working with Dr Zhou through the rest of my pregnancy.